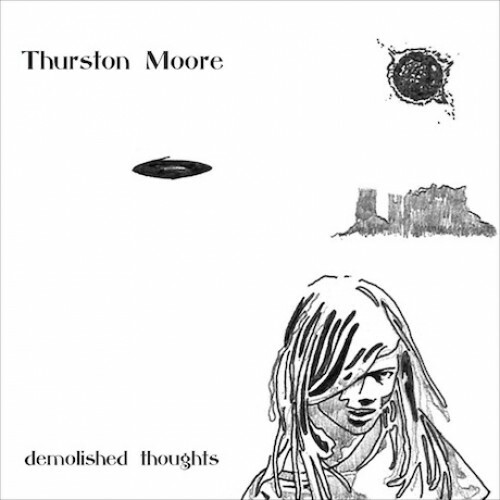 Thurston Moore has been behind some of the most noisy pop sounds of the last 25 years, but his latest effort, or at least the first song from it, are about as gentle and soft as a song can be. “Benediction,” off his forthcoming Matador LP Demolished Thoughts, is a quiet acoustic hymn that shows the softer side of Mr. Moore, and is one of the most quietly arresting songs I have heard in a while. Heres to hoping the whole album contains this level of peaceful zen. so awesome. can’t wait to hear this album. Remember when thurston moore used to be in a great band?